The latest book in the Burracombe series, Celebrations in Burracombedraws together many threads of life in the little Devonshire village where triumph and tragedy have always rubbed shoulders. It's the late 1950s and change is in the air. For the Napier family, up at the big house, the old ways are shifting. Hilary must discover if reaching out for a chance of happiness must mean breaking away from the life expected of her, while Patsy, their young housekeeper's help, is facing motherhood without her own family around her. Down the hill from the Napiers, villagers young and old are setting out on adventures—Stella and Felix begin married life, change comes to the village school and the Tozer family continue to find surprises in their midst. 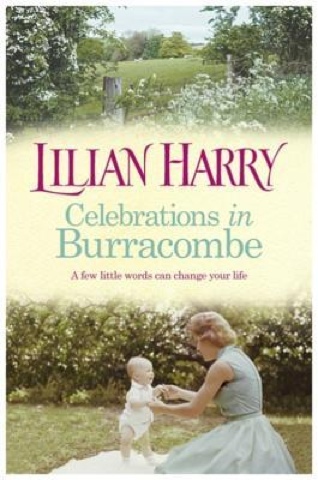 Warm, poignant and heartfelt, Celebrations in Burracombe serves up another delicious slice of country life. This is the 9th book in the series about the little Devonshire village of Burracombe. As with all the others in the series, it is full of drama and excitement as we follow the lives of the families in the village. All of the usual characters are there, with a couple of additions. I have read all of the books in the series and look forward to each new one being published and to find out what develops for my favourite people. I don't want to give away anything about the happenings in this book, but just to say that I enjoyed it immensely and would recommend it to anyone. The writing is very strong as always, and I feel that I could walk around Burracombe and recognise the houses of the various inhabitants who feature in the series. It would be possible to read this book without having read the others in the series, as there is enough detail to fill in the past where necessary. However, I can imagine that having read this, you might well be tempted to go and catch up with what went on before.